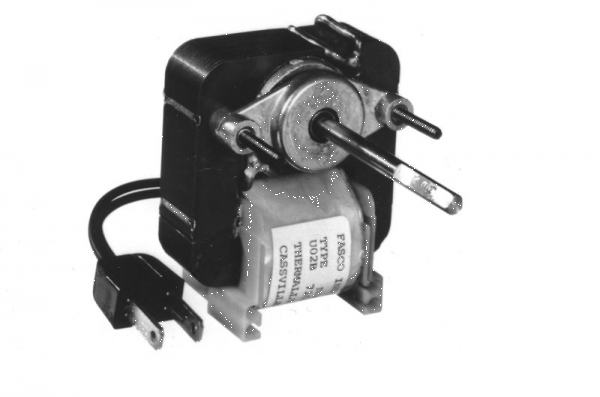 Fasco K109 115 Volt 3000 RPM C-Frame Motor | General | Motors & Controls | Piela Electric, Inc. | Fasco | Featured Lines | Piela Electric, Inc.
Thermally protected. UL recognized; CSA certified. Counterclockwise shaft end rotation. Two main thru-bolts with torx heads. Shaft measures 0.217" diameter by 2.37" length. 0.75" Motor length. 115VAC voltage rating. 0.9amps Full load. 3000rpm Speed rating.